Supposedly, before she was burned at the stake by a bunch of English clergymen, Joan of Arc turned a devotional ring over to Cardinal Henry Beaufort, and it’s been in English hands every since. Until now, anyway. It has become one of the country’s biggest success stories; its trademark is spectacular history extravaganza shows – where thousands of actors and animals recreate high drama, from Roman gladiators to King Arthur, with mind-blowing special effects. Prizes have also been won for the world’s best amusement park, including two US “World’s Best Park” awards. If you live in Britain, the chances are you’ve never heard of it, but in France it’s the second most-visited theme-park after Disneyland Paris. Puy du Fou was founded by Philippe de Villiers, the right-wing leader of the Movement for France party, a local politician who ran the Vendée département for over 20 years, and has his own brand of Catholic, traditionalist, nationalist, anti-immigration, eurosceptic politics. Although his political career has waned – he ran for French president in 2007 and won 2% of the vote – he still promotes Puy du Fou across the world. Six centuries is a lot of years to keep track of one little ring. The Gazette Standard says it was in one English family’s hands for several hundred years before it started bumping around circa the turn of the twentieth century. (You can see the reported chain of custody here.) But it tracks: “The ring is unusual for its type in having text rather than an image of saints on its faceted bezel. 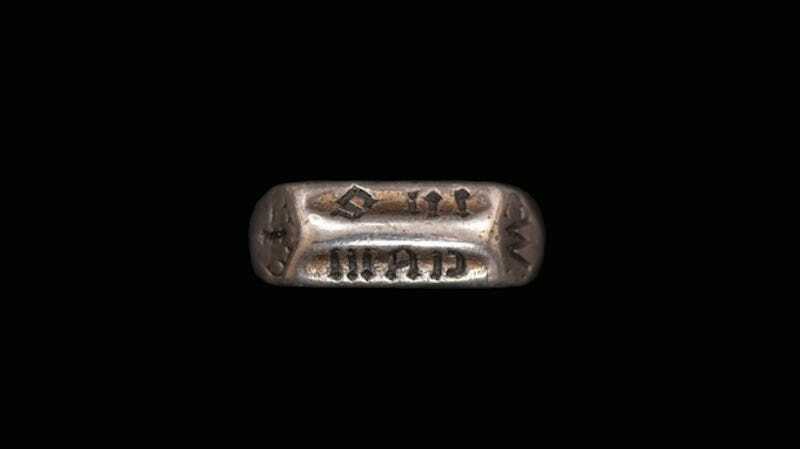 It matches the description Joan gave at her trial of the ring given to her by her parents, and is inscribed ‘I M’ for ‘Jesus Maria,’” says the announcement from Timeline Auctions. It’s okay, England—you’ve still got Jane Austen’s ring, even if Kelly Clarkson tried to take it.